CUSABIO antibodies have multiple options on immunogens, including recombinant proteins, native proteins and peptides. Most CUSABIO immunogens are recombinant proteins. 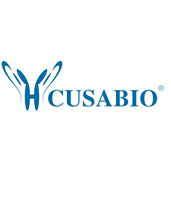 CUSABIO has been specialized in developing & producing recombinant proteins for more than 11 years, now CUSABIO has five expression systems of E. Coli, Yeast, Bacoluvirus, Mammalian Cell and In Vitro E. Coli to prepare different kinds of immunogens, so CUSABIO can be able to prepare the right immunogens to generate successful antibodies very well. For that reason, we are confident that we have expertise, experience as well as enabling technologies on antigen design and antibody purification to customize the high quality antibodies that you are desiring.